For the cool price of $1.3 million, you can own the the charming cottage just outside London where Voldemort killed James and Lilly Potter. Imagine all of the enthralling stories you could tell guests when they came over for dinner. 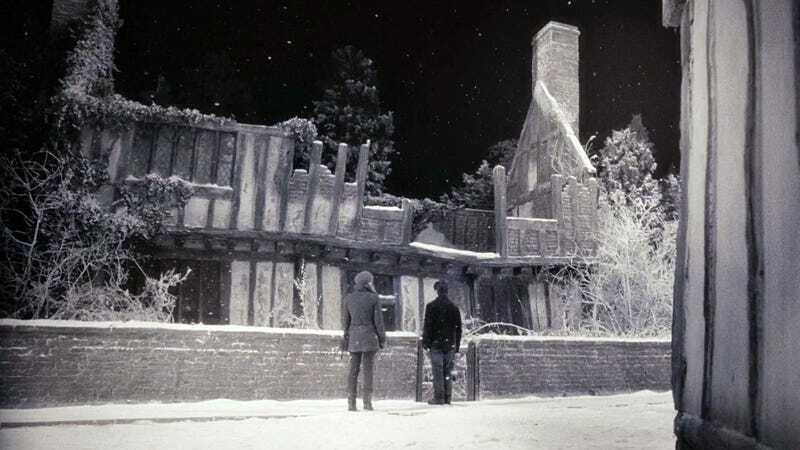 The De Vere House that appeared in Harry Potter and the Deathly Hallows: Part One as the Potter family’s Godric’s Hollow home is back on the real estate market. The listing touts the gardens, the period features, the size of the estate, and, “Also, made famous for its appearance in the Harry Potter films.” Maybe lead with the fact that this historic house is also going to be a magnate for fans. The house’s six bedrooms, two kitchens, full dining, drawing, and sitting rooms are certainly impressive, it’s worth remembering that the location is likely to remain a beacon for Potter fans/tourist trap for the rest of its existence. Imagine having to deal with people shouting killing curses at your house at all hours of the night.